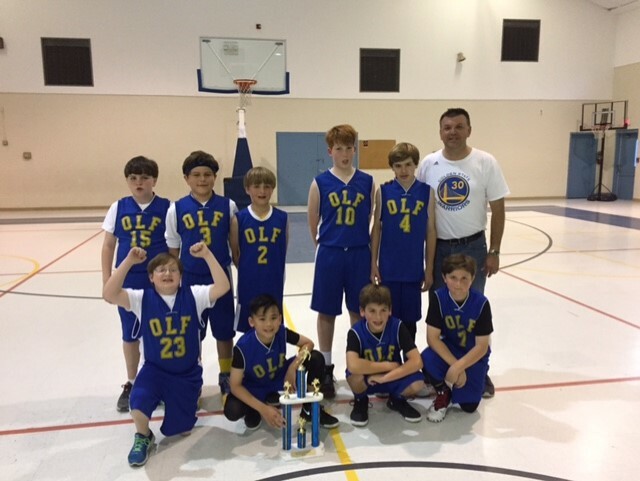 The 5th and 6th grade boys basketball team of OLF Elementary captured 2nd place in the St. Alphonsus Basketball Tournament held over the weekend in Ocean Springs. This tournament marks the conclusion of the Catholic Schools Elementary Basketball League. Coach Mike Lee and his team won the first two games before losing to Resurrection in the finals. “We want to thank Michele Mandal, OLF physical education teacher, for her effort in assisting with the league and our many volunteer coaches and players, “said Principal Cindy Hahn. “The Catholic Elementary Basketball League continues to grow each year and we appreciate all the schools, volunteers, and players who make this league a great success.” An awards banquet for all OLF players, coaches, and volunteers will be held at Bayou Bluff Tennis Club on Thursday, March 23rd.